STAY FIT THIS SUMMER BY RUNNING A 5K RUN/WALK PER WEEK! 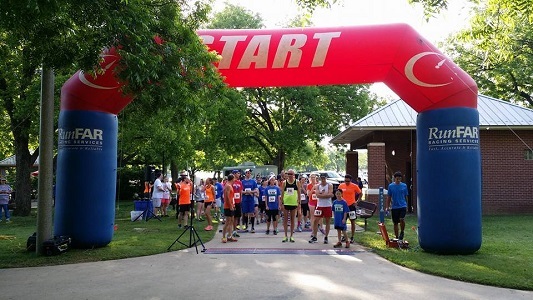 This is a weekly 5k every Wednesday starting June 8th through August 10th in Mansfield, TX. We'll altnernate between James McKnight East and Katherine Roseparks in Mansfield, TX. The first one is at JAMES MCKNIGHT EAST. Each course will be a certified 5k out and back. We'll do a time trial start to not clog up the trail. Water will be on the u-turn for each race. Each event will include overall and age gorup awards. COMPLETE 8 or more races and recieve an official 2016 "I got RunFAR FIT!" tech shirt! The series will culminate with a series "banquet" to award our series overall and age group winners!